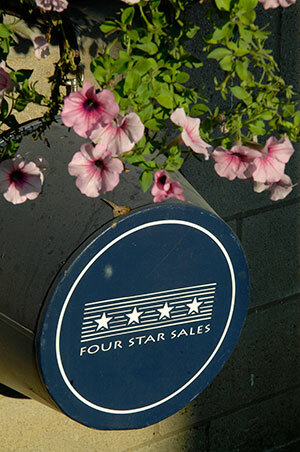 Four Star Sales concentrates primarily on the Kentucky market, as well as the Saratoga Select Sale. From the outset the venture has been a marked success in both the tangible statistics and in the intangible quality of our service. Four Stars has been a Top Consignor of Yearlings and Breeding Stock each year since we were founded. More importantly the quality of the horses we offer remains high as is evident in the consistency of our consignments from year to year, especially during these recent challenging economic times. Our high quality consignments and personal service continue to set us apart. In a business with a thousand different variables it is our lifetime of experience and the personal nature of the relationships we have with our clients and our buyers that makes Four Star Sales successful and the process of selling your horse as simple as possible. Exceptional quality in our horses and in our client service is the essence of our business. We have invested our heart and soul to this goal, and to that end, we will continue to strive to provide our clients and horses with the utmost of personal attention. While we take pride in our past success we believe that the next sale must be better than our last sale. We take pride in the fact that we have earned our pedigree through impeccable service and attention to every detail. Please explore our site to learn more about Four Star Sales, and then give us a call to find out how we might partner with your thoroughbred business to create racing success stories.